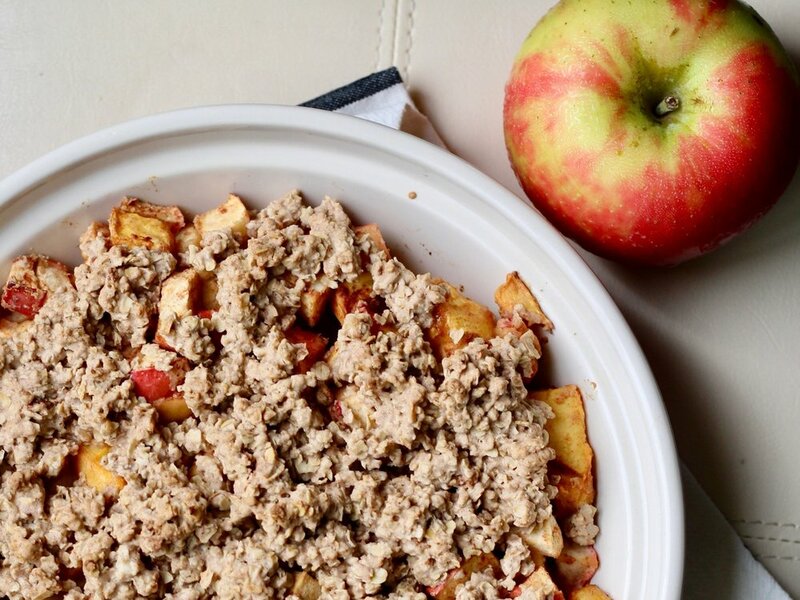 Gluten Free Apple and Peach Crisp is the perfect way to say goodbye to summer and hello to fall. This recipe is gluten free, paleo and vegan. Every year I wonder how summer can fly by so fast. The melding of my two favorite seasons are the end of summer peaches and the fresh crop of fall apples. I pair these favorites in my Gluten Free Apple and Peach Crisp. I love a crisp as a go-to dessert because most of the ingredients I always have on hand. If I don’t have fresh peaches, frozen fruit works great for this recipe as well. This recipe has no refined sugar and is good for you. But shhhhh! No one will notice. Preheat the oven to 375 degrees. Prep your apples. In a medium size bowl, mix all the apple & peach filling ingredients together and stir until well combined. Place apple filling mixture into a pie plate or an 8×8 dish—no need to grease! In another bowl, mix together all the ingredients for the crisp and stir until well combined. The mixture will be clumpy. Evenly spread the crisp mixture over top the apples and peaches. Bake for 30-35 minutes or until crisp is golden brown. Preheat the oven to 375 degrees. Prep your apples. In a medium size bowl, mix all the apple and peach filling ingredients together and stir until well combined. 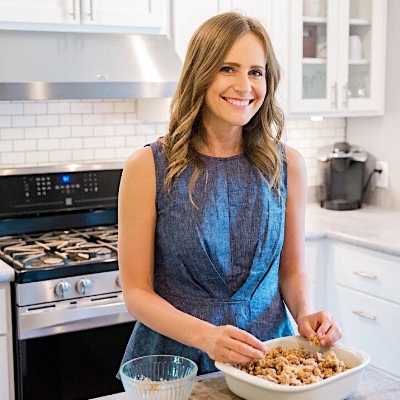 Lisa Wittrock is a Minneapolis recipe creator and food blogger who loves to try new recipes and mix and match flavors and food groups with a focus on healthy eating, good conversations, and undeserved grace. You can find this recipe and many more at thygoodness.com. Are Good Works Good Enough?